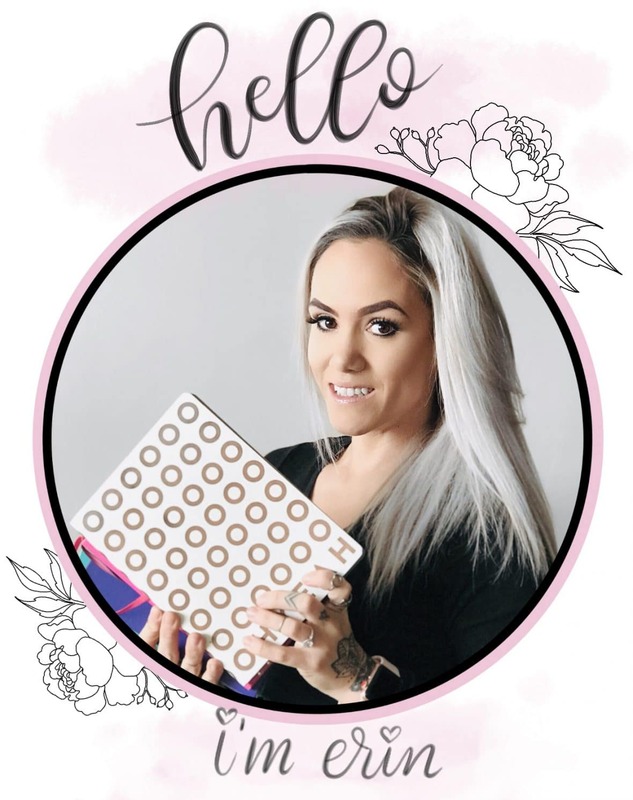 Starting a new bullet journal? 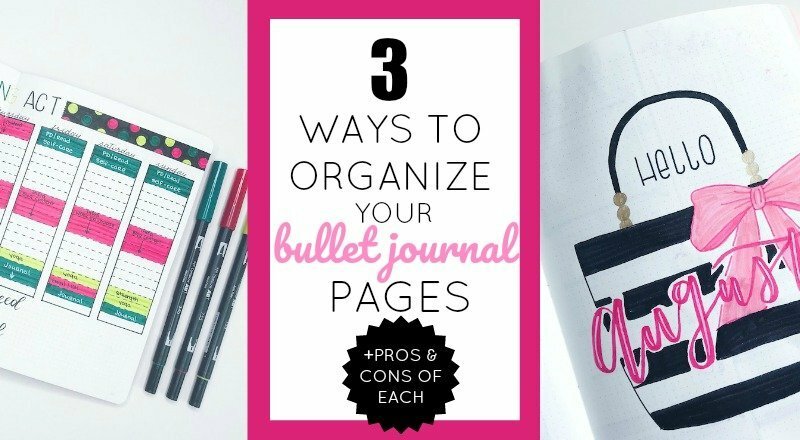 This resource will help you decide how to organize your bullet journal pages in a way that works best for you. Every time I start a new bullet journal, the first thing I think about is how I’m going to lay it out. It might be one of the most important decisions I make when I start fresh. And I’ve been asked numerous times, what’s the best way to organize the pages in your bullet journal? Still, I don’t think there’s a clean cut answer. But, I’ve now used 3 different methods that I’ll share with you, along with the pros and cons of each. From there, you can make the decision that will work best for you. 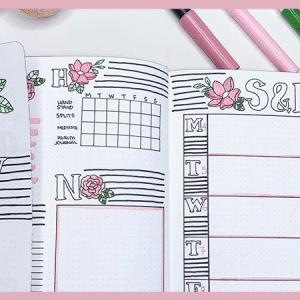 One of the most frequently asked questions that I get is, how do you separate your collection pages from your monthly and weekly pages. Over the years, I’ve used a number of different methods. Each has its own set of pros and cons, which I will cover below. 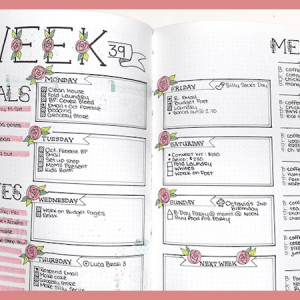 Possibly one of the most common ways to organize your bullet journal pages is to create them as you need/want them. This means, you add your regular monthly and weekly planning pages and then add in your collection pages as you need them. There is no pre-planning for this method. You just go with flow and fill up your journal with an array of pages. In my last journal, I sectioned off my journal into categories. If you choose to use this method, you will have to choose the categories that accommodate your specific needs. My journal was sectioned off into regular planning pages, blog pages, personal pages, and health and fitness pages. These were the categories I knew that I used and made collection pages for the most. Choosing the number of pages to include in each section is likely the most difficult task. 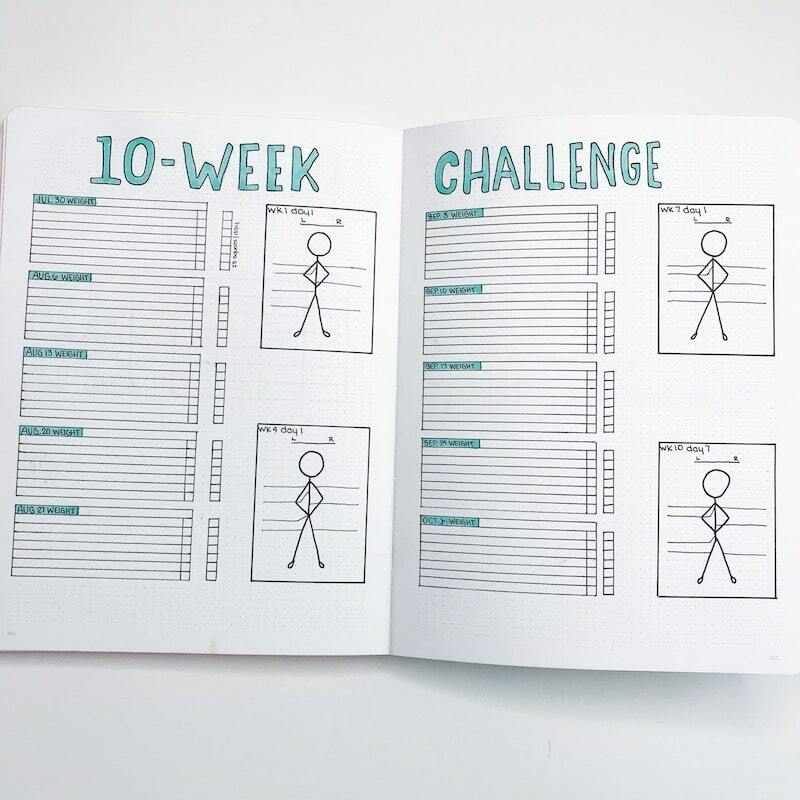 I underestimated the number of pages I would need for planning, overestimated the pages I would need for my blog, underestimated the pages I would need for personal, and overestimated the pages I would need for health and fitness. When this happens, you end up with extra pages in certain sections that go to waste once you fill up the planning section. That isn’t to say that this method won’t work for you. It has it’s pros. My current journal is set up in this fashion. I do all of my planning in the front of my journal, and all of my collection pages in the back. I start my collections on the very last page and then work from back to front. This helps keep your regular planning pages separate from your collection pages. I like this method because you don’t waste pages between sections, your collections are easier to find, and all of your planning pages are together. So far, for me, this is the easiest and most convenient method I have found. 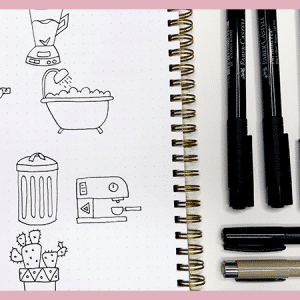 There is one last method of organizing your bullet journal pages, but it requires two separate journals. I have not personally tried this method. But, I have seen other people do it and be successful. This method requires having two separate journals, one for regular planning and one for collections. I’m curious, how do you organize your bullet journal pages? Did I miss a method above or any of the pros and cons? Let me know in the comments below. 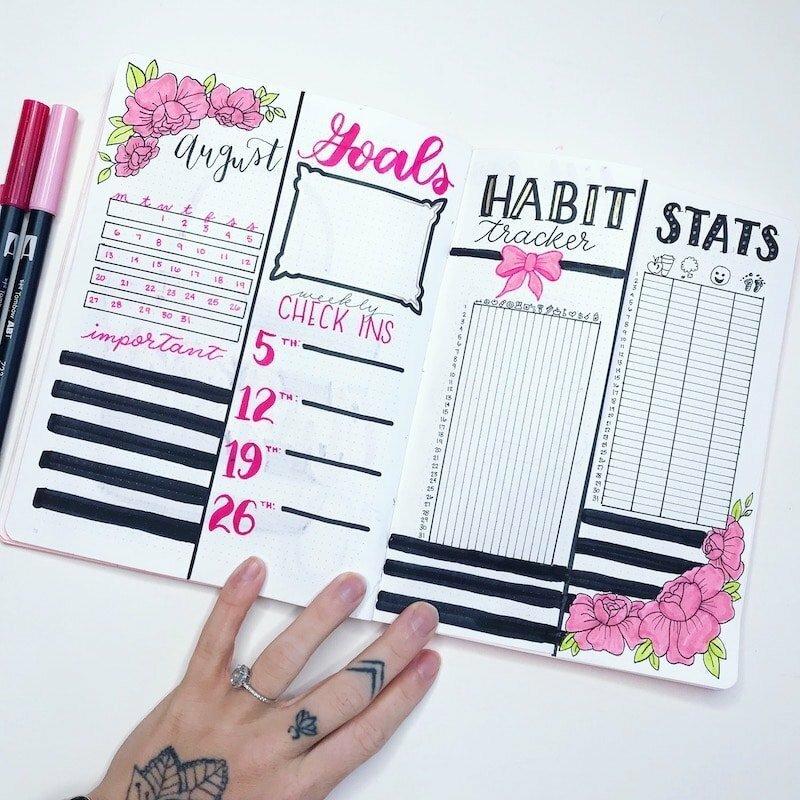 Another method is a bujo that is in a binder of in a disc bound notebook. You can add as many pages inbetween as you want and move pages to another place in your yournal. Not everybody likes rings/discs though. Thank you so much, Chantal. I have yet to try a discbound system, but I have been curious about them. I love the idea of adding pages and moving them around. Again, thank you for the input. Thanks for this! I’ve used all but the back/front method and I think I’m going to try hat. I’m currently using the two journal method. I like it because I don’t have to copy over my collection pages when I change journals, but I find that I don’t refer back to my collections as much as I did when they were in one book. Oh, I also gave tried the sections methods but as you pointed out, I ended up wasting a lot of pages. And since I am a bit OCD, that bothered me enough at I went back and made doodle pictures in all of them, which was fun, but…. Anyway, I thorough enjoy your posts and sample pages! Hi Sharyn, thank you for taking the time to comment. I am enjoying the front/back method. I didn’t transfer over some of my year long trackers, like my Year in Workouts tracker,m. It’s still in my previous journal, and much like you, I often forget to go back to it and fill it in. But I do love the idea of having separate journals for the purpose of long-term trackers. Let em know how you like the front/back method when you try it. Collection pages are pages that aren’t directly related to your daily planning. So, for instance, each month you have a monthly calendar or overview, maybe a habit tracker or mood tracker, and then your weekly or daily pages for tasks and events. Those are all of your standard planning pages, similar to what might be found in a traditional planner. Collection pages might be things like TV Series tracker where you tracked what TV shows you watched and what episodes you have completed. 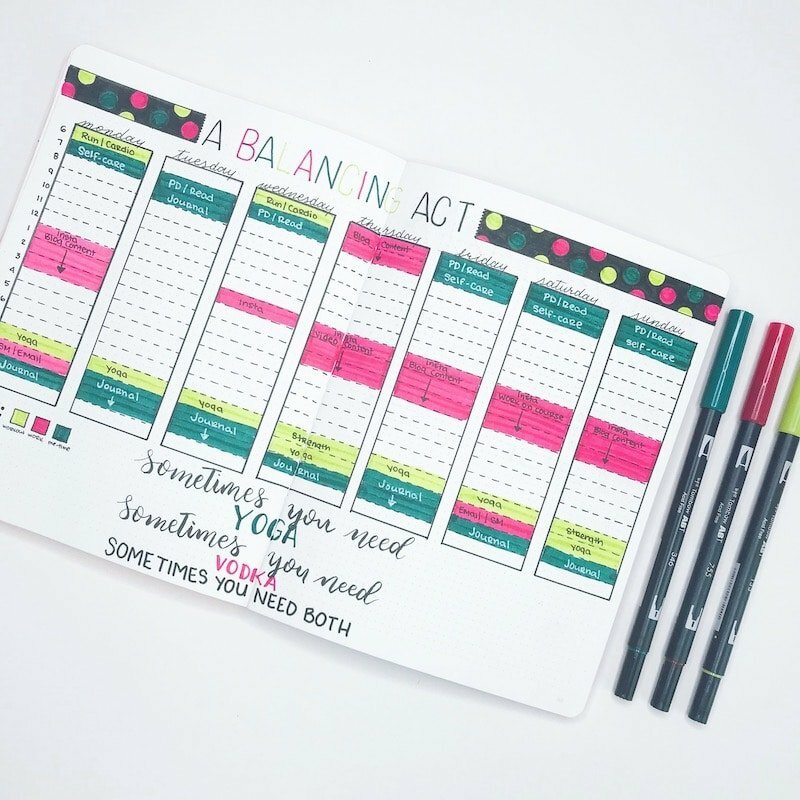 Or perhaps a book tracker for books you have read. 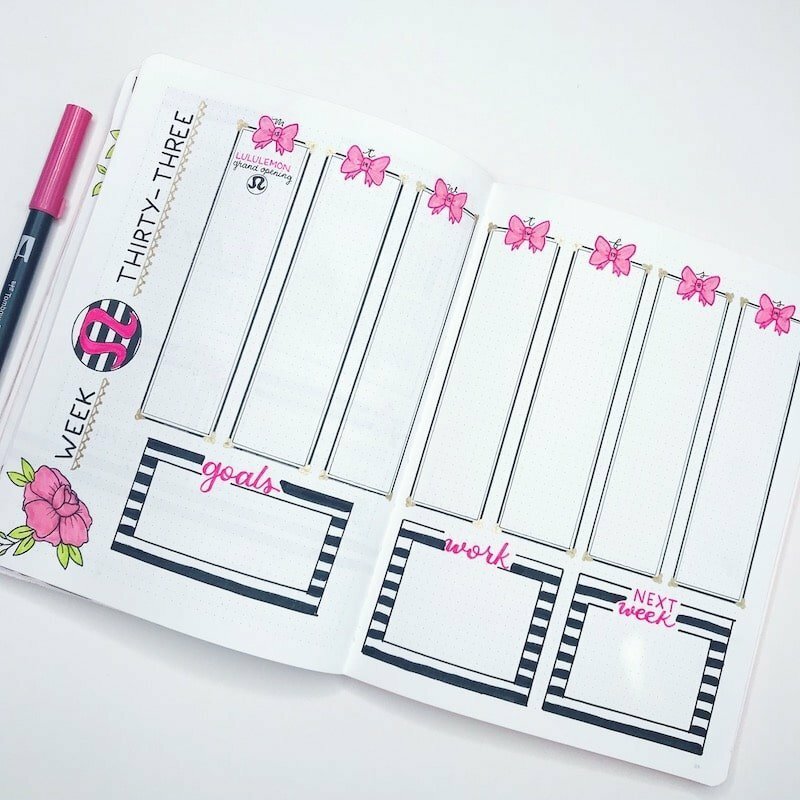 These are not necessary for daily planning, but they are things you want to collect and keep track of that relate to your life and interests. I hope this helps. Another piece of advice is to just keep at it. Draw inspiration from other people, but don’t think that you journal is not good or is terrible just because it doesn’t look like the one on Pinterest. Your journal is YOURS and you make the rules and you get to decide what goes in it, what it looks like, etc. Don’t get too discouraged by images on the internet. Some of those insanely intricate pages are created by people with years of practice and possibly even an art degree. Just do what comes naturally and feels right to you and try not to worry about what everyone else is doing with their journal. That is where you will find your joy and find a routine that works for you. I found a neat way to organize my bullet journal. I used a disc bound planner and printed my own dot grid pages. Then when I need more pages I can add them where I need them.